Stress is a serious issue that many senior citizens deal with on a daily basis. It is important to find ways to reduce this stress as it can lead to many serious health conditions. Sunshine Home Health Aide Org., Inc. is dedicated to helping you not only reduce your stress but to also live a more convenient and enjoyable life. 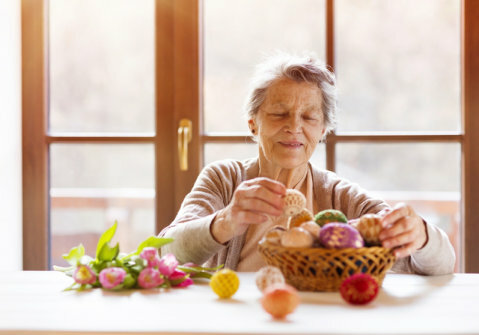 As a home care company in La Mesa, California, we offer a number of services that can help you let go of your stress, so you can start living a fuller life. Here is how you can begin reducing your stress. One of the best ways to reduce the stress you are feeling on a daily basis is to simply find a hobby. By doing something you enjoy, you can help get your mind off of the problems that are plaguing you, so you can focus on what makes life special instead. There are many different kinds of hobbies you can do from gardening to even going out fishing. Find something that you love and pursue it when you are feeling down. Another way to reduce your stress is by having professional assistance at home. We offer many personalized services that can help you live a more convenient and easier lifestyle. When you are not worried about doing household chores or even doing the basics like using the bathroom, you will notice that you are not as weighed down by stress as you were before. Believe it or not but improving your diet can help reduce your daily stress. Eating healthier food can make you feel better and help enhance your health in just about every aspect possible. So the next time you sit down for a meal, try considering healthier alternatives. Reducing stress is important if you want to continue living a full and exciting life. By visiting our website at www.sunshinehomehealthaide.com today, you can learn more about our personalized services and what we can do to help you reduce your stress. You do not have to keep living with the stress because with a helping hand and some lifestyle changes, you can start living a better life now.